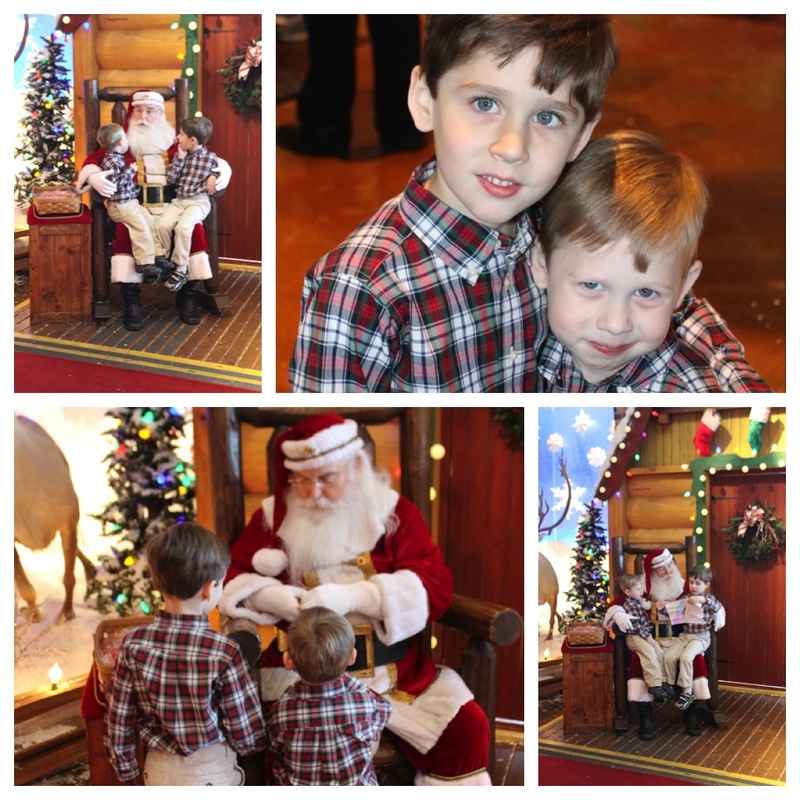 Yesterday, we were able to get pictures of the kids with Santa. We love visiting Santa at Bass Pro Shop (always such a pleasant experience). We visit him there ever year, no matter what state we are in for the holidays. 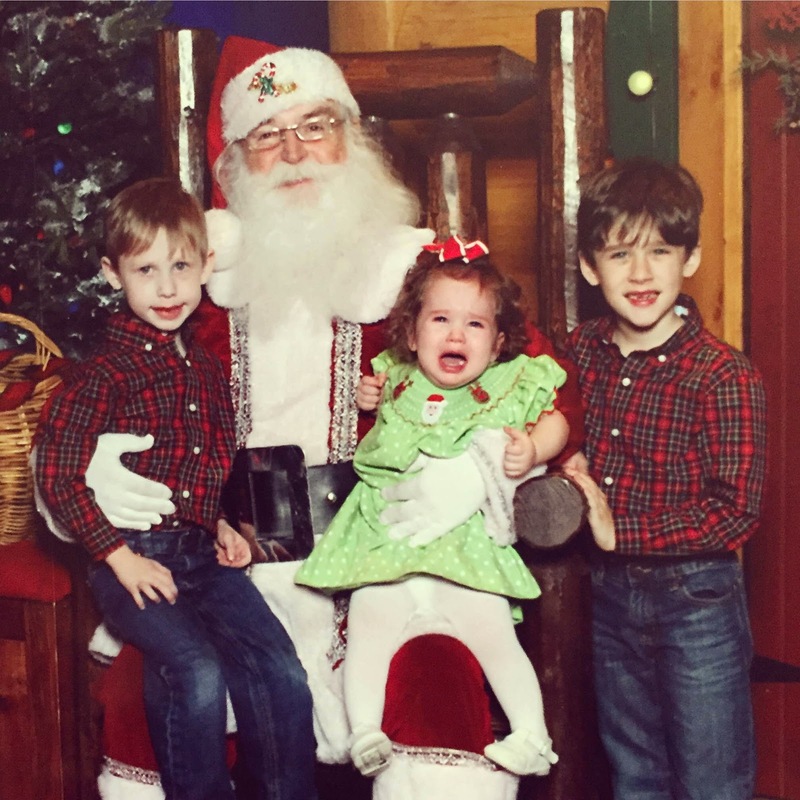 2015 - The year we finally got smiles from all three kiddos! 2014 - The year when Avonlea wanted none of it! 2013 - The year when Avonlea didn't know what was happening. 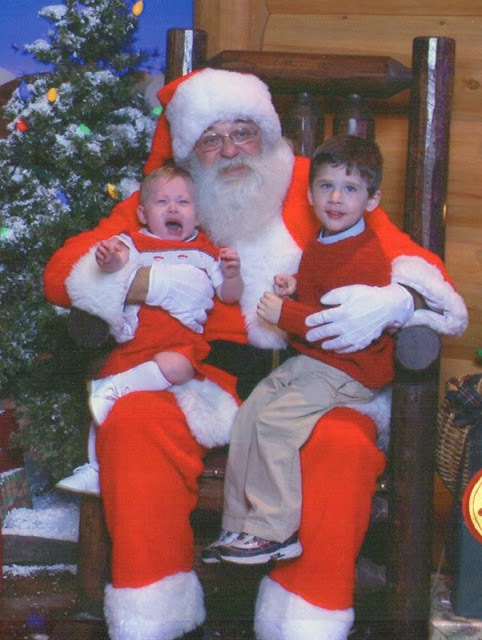 2012 - The year I somehow didn't get a very clear picture closeup picture with Santa but still captured the moment anyway. 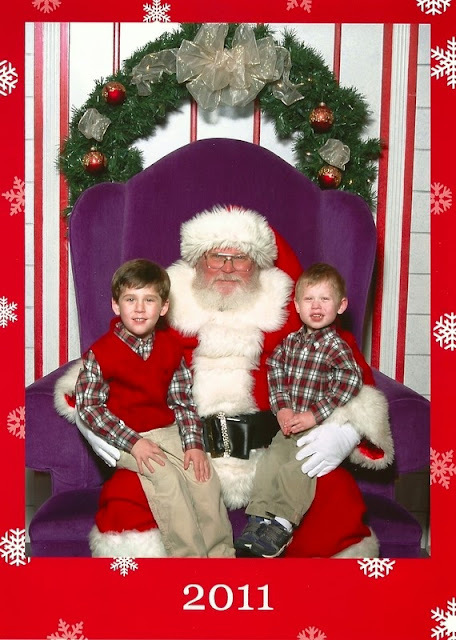 2011 - The year Bennett was just about to go in to surgery right before Christmas so we had to visit the mall Santa instead (no clue why the boys look like they are sunburned, thanks Mall Santa). 2010 - The year Bennett wanted out of this old man's lap now! 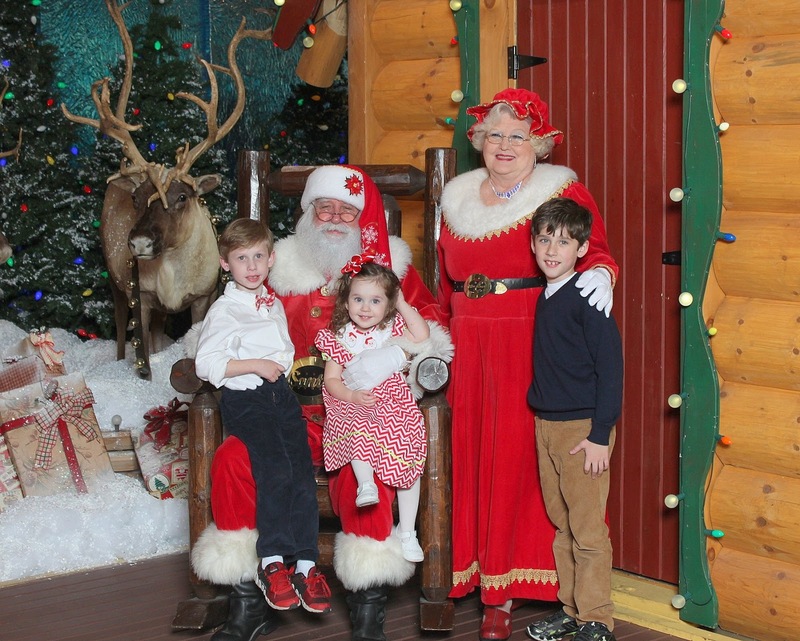 2009 - The first year the Gamel children began visiting Santa Claus.